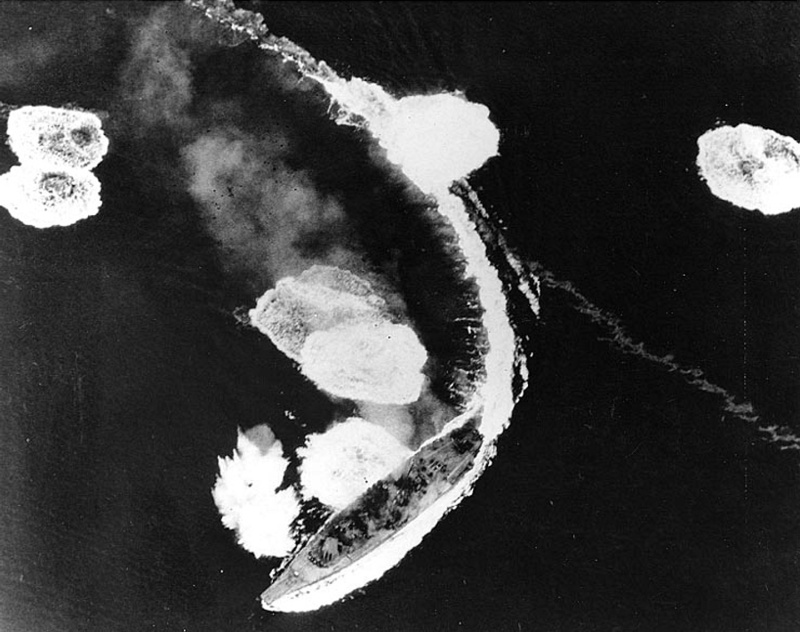 Yamato under attack by aircraft from Task Force 58 in the Inland Sea, 19 March 1945. Yamato incurred no serious damage. Photographed here by an aeroplane from the USS Hornet (CV-12). Source: Official U.S. Navy Photograph (# 80-G-309662), now in the collections of the National Archives. If you have spotted any errors on this page (Battleship Yamato under attack by aircraft) or have anything to contribute please post it on the battleship forum.